Small Non Shedding Dogs 3 is the third page in a series of three pages on dogs that are very low shedders. As we have mentioned earlier, there is really no completely non shedding dogs, But there are many small dogs that shed so little that you may go weeks without seeing a single hair. Here we continue with our list of small non shedding dogs beginning with the letter N. Click on the links below to go to the other pages in this series of articles. For information on individual breeds, click on the links or the picture to be taken to the breed page where you will find information on the breed description, history, personality, grooming and health care. 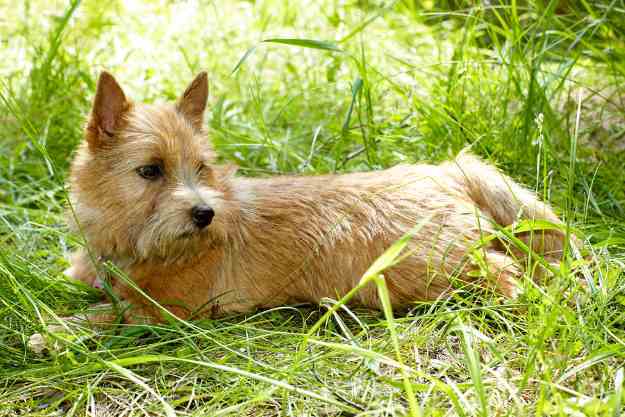 As with many terriers, the Norwich Terrier has an outer coat that is straight, wiry, and hard which lies close to the dog’s body. There is an additional undercoat. Brushing is necessary and should be done several times a week, but you won’t notice any hair on the furniture. As with most terriers, owners choose to keep their coats neat by clipping them with a pair of clippers or stripping them with a stripping knife. Show dogs are never clipped. 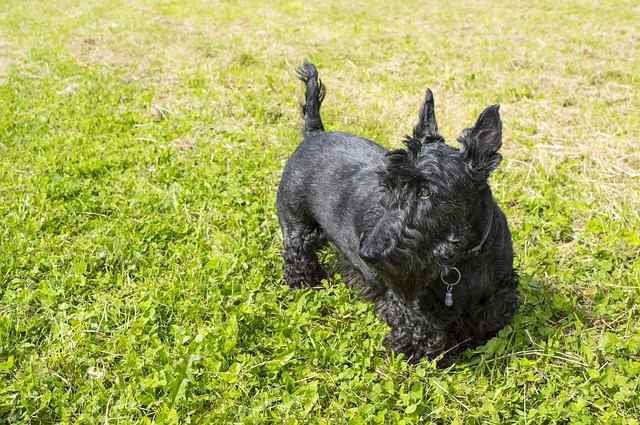 Scottish Terriers or Scotty for short has a thick, insulating double coat that does well in cooler climates. Most people think the Scottish Terrier is the black version of the West Highland White Terrier but Scotties come in other colors, including black. Most of the terrier breeds we have today originated in Great Britain and were working type dogs. Their coats needed to be harsh, weather resistant, and able to withstand the harsh, wet climate of the British Isles. 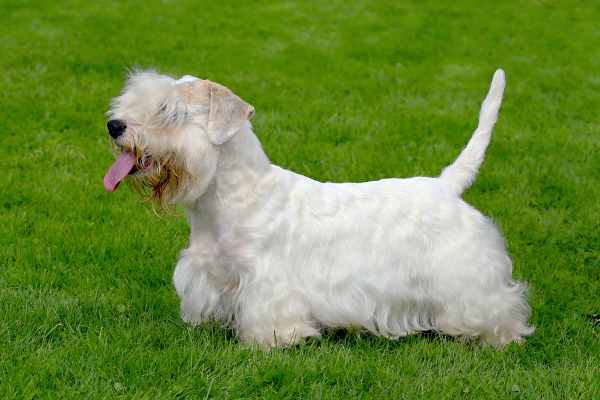 Like other terriers, the Sealyham has a long hard outer coat and soft, dense undercoat. 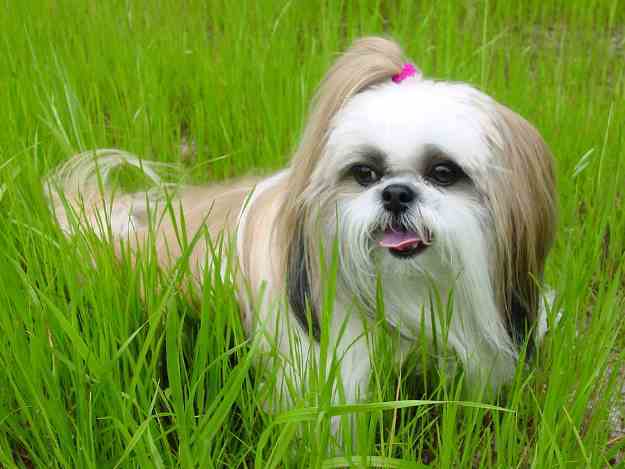 They shed little, so their coat needs to be clipped or stripped to be maintained. Most people think of the gorgeous long flowing coat of a Shih Tzu show dog with elaborate top knots and a rare arrogant demeanor. Anyone who owns one sees a loyal, loving companion that needs lots of time on the grooming table. These dogs have a double coat with fine inner coat that tends to mat if not brushed regularly. Any shedding they might do goes directly back into the coat, so there is little hair on the furniture, and they usually make a good choice for someone with allergies. 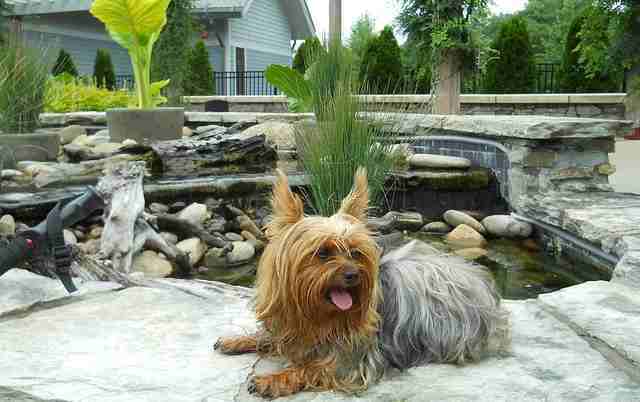 They might look like Yorkshire Terriers, but the Silky is a distinct breed. 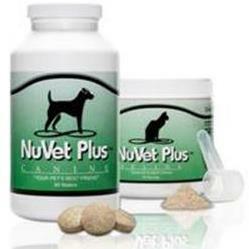 They have a single soft silky coat that does need to be brushed regularly. Their hair will come out, but like most other long hair breeds, the loose hairs lodge in the coat and can turn into mats if not groomed regularly. 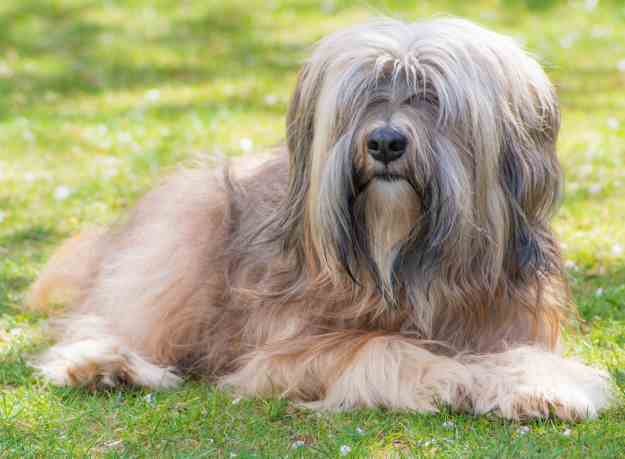 The Tibetan Terrier is not a terrier at all but is classified in AKC non-sporting class. He has a thick double coat that kept him warm in the snowy terrain of Tibet where he originated. The thick coat requires much brushing to keep those mats away. Most owners will also clip or trim the coat to make grooming tasks a little easier to manage. 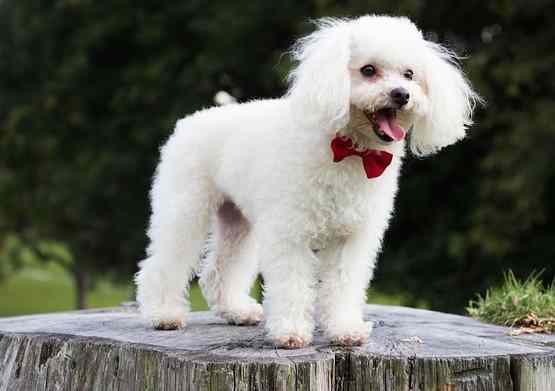 One of the breeds that are closest to being considered a small non shedding dog, the poodle continues to grow a dense, curly coat throughout the year. Grooming any size poodle is time consuming and most people will have their coat clipped at least 8 times a year. A trip to the groomer is usually needed about every six to eight weeks to keep them looking their best. Of course, you can save a lot of money if you learn to clip and groom at home. 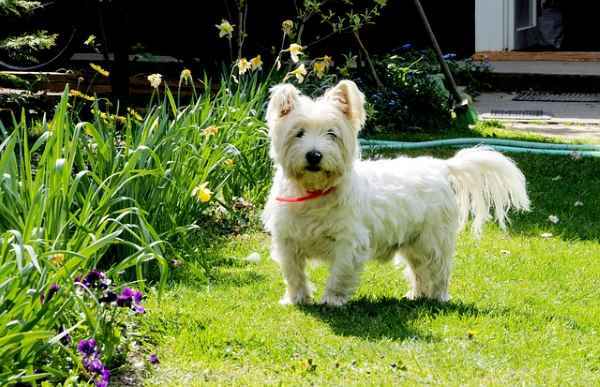 Like many of the other terrier breeds, the Westie sports a hardtop or outer coat and a soft fur-like undercoat. They do not shed much at all, and grooming requires less time and effort than for some other longer haired breeds. Many owners prefer to have their Westies clipped in a shorter style especially in the summer months. This is a good choice for someone needing both a hypoallergenic and non-shedding dog. 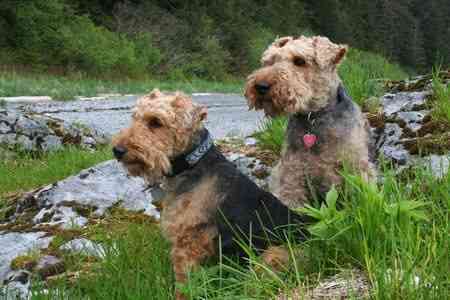 Like other terrier coats, the Welsh Terrier is a very low shedder. Clipping the pet dog or stripping the show prospect is needed to keep him looking his best. Brushing a couple of times, a week, will help bring out his good looks. 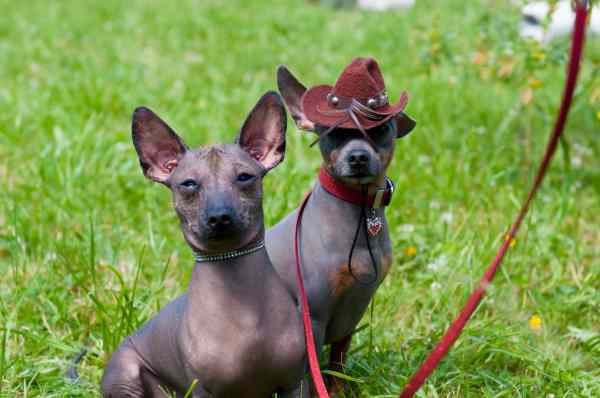 You won’t see much if any shedding in these dogs because they are one of the few hairless varieties. Their grooming needs are minimal, but they do need skin care and protection from the sun. Most will need a coat or sweater in the winter and sunscreen in the summer. Even though they are called a “terrier,” they are classified in the Toy class by the AKC. 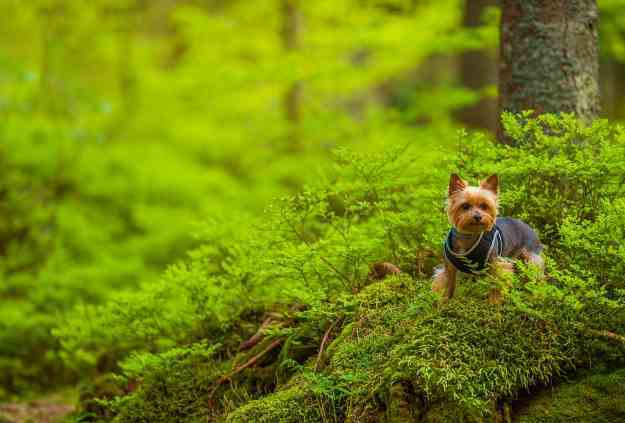 They were first bred to catch rats and other small vermin but unlike other terriers that performed these tasks, the Yorkshire Terrier or Yorkie for short grows a soft long coat. They need brushing, but their coats do not mat as easily as other long coated breeds. This breed would be good for someone looking for a small, non-shedding, mostly hypoallergenic dog. 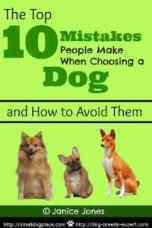 Do You Have a Small Non Shedding Dog? Care to Share Your Thoughts?